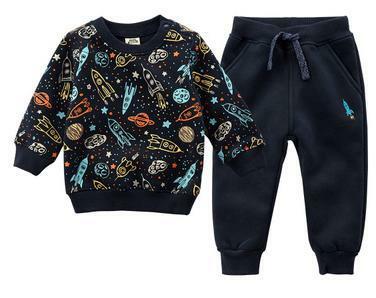 This warm and soft sweatsuit features a funky rocket ship pattern. 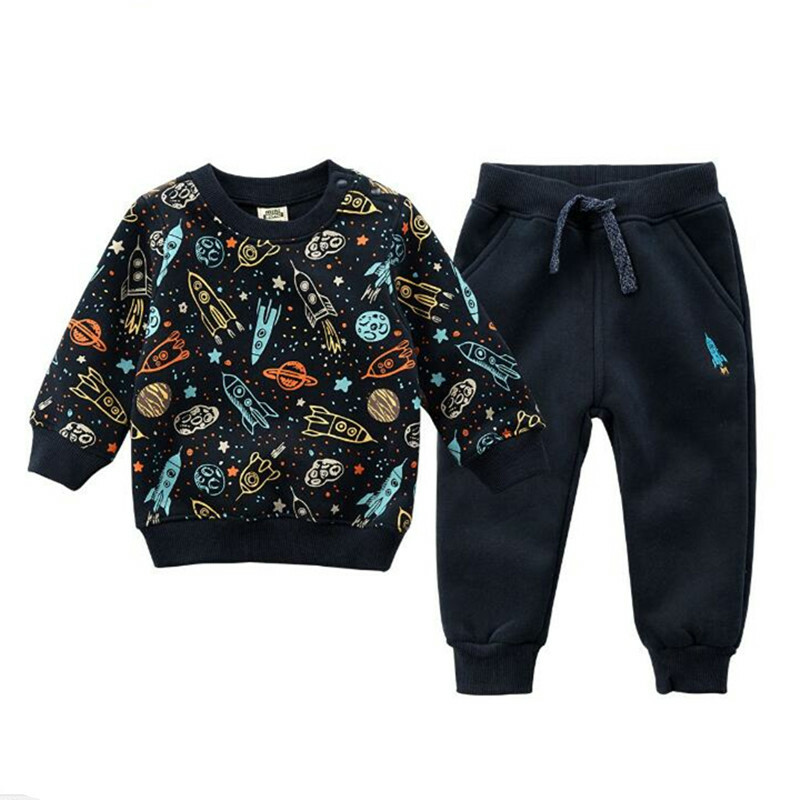 Very good quality, pretty warm, great for the cold weather and winter. Sizing is correct.